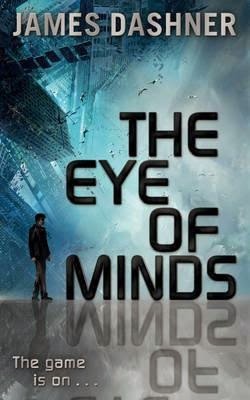 There’s a blur between virtual reality and reality in James Dashner’s first book in the YA Mortality Doctrine series. It follows on the rather racy heels of his New York Times bestseller, The Maze Runner. Dashner is an expert. He’s an expert in fast prose, graphic descriptions and the technical world inhabited by gamers. He’s an expert in what a lot of young adults want to read. I’ve had many experiences in sensory deprivation tanks. Pull the lid down on your coffin-like capsule, hear your heartbeat, hear your blood rushing and let your imagination soar. Sixteen-year-old Michael is a gamer, coder and hacker; one of the best in the virtual reality world. His wealthy parents spend most of their time overseas, leaving him in the care of a nanny and his highly expensive VirtNet system. He spends a lot of time in his ‘Nervebox’ or ‘Coffin’ where ‘thin icy strands of NerveWire inserted into his skin’ along with the elements of ‘AirPuffs and LiquiGels’ immerse him in the shared virtual world nicknamed ‘the Sleep’. Every physical experience is possible: fighting dragons, flying spaceships. Michael lives his life in ‘the Sleep’; he finds ‘the Wake’, where real people live, boring. Gamers are being found brain dead in their ‘Coffins’ accompanied with the coding ‘Kaine was here’. Kaine is a rogue gamer and cyber terrorist who is hiding in ‘the Sleep’. Michael and his closest VirtNet friends Bryson and Sarah are recruited by the VNS –VirtNet’s security to use their coding and hacking skills to track down Kaine. They battle Hot Zones, Weak Spots and antimatter called KillSims as they follow Kaine’s trail to his lair. Be warned. There is violence. There are issues of suicide. The clever twist at the end comes entirely from left field. Fans of The Matrix, Inception and Neuromancer will love this thrill seeking, mind-bending techno ride, as along with Michael, Bryson and Sarah, they navigate this most dangerous ‘game that wasn’t a game anymore’.